Thanks to your continued support, we have been able to help six poorly children spend an afternoon away from the hospital with their families. 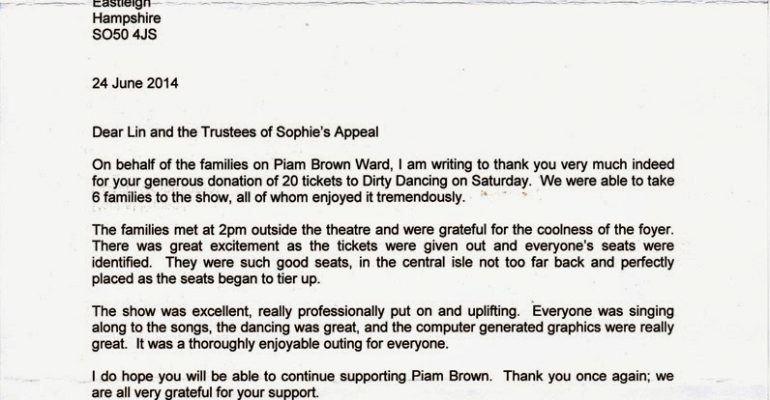 Sophie’s Appeal provided theatre tickets to the Mayflower Theatre in Southampton, just a short drive from the hospital. The children thoroughly enjoyed the show and it gave them a few hours away from hospital life to get immersed in the atmosphere, songs and entertainment and to forget about their illness for a short while. Thanks again to you all for continuing to help us make life for children fighting cancer a little more bearable.